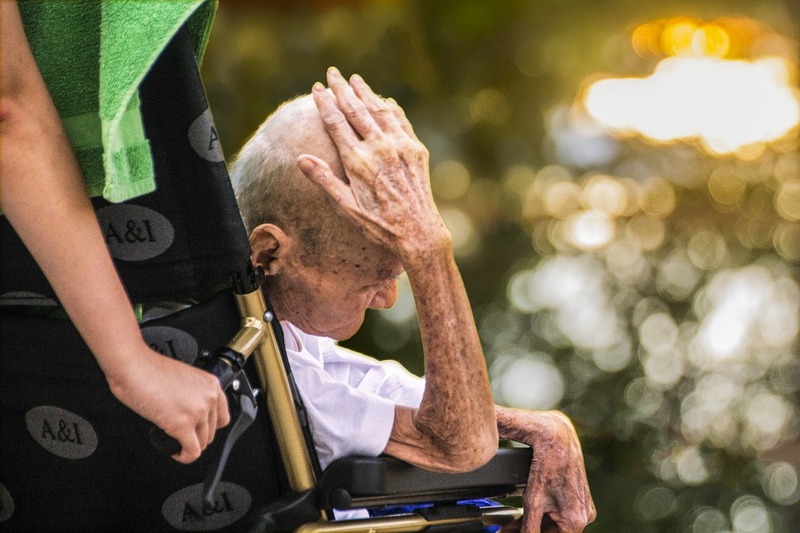 The government’s new iteration of Eldershield, named Careshield Life, was lauded by most when it was first announced some weeks ago. Since then, however, many questions have been raised about the details of the scheme, and particularly the lack of information about its financing structure. Now, it has emerged that the group which perhaps may need the benefits of the scheme most – women – are being made to pay higher premiums for them. Careshield Life will replace Eldershield from 2020, when those who are 30-years old will be compulsorily included in the scheme, which is part of the government’s multi-faceted masterplan to deal with the ageing population. By 2030, it is estimated that there will be close to 1 million Singaporeans who are 65-years old and above, a group which will place enormous strain on the healthcare system. The new scheme provides benefits ($600 per month) for life for those who are severely disabled. To qualify for the pay out, an applicant or member must be “severely disabled”, which is defined as the applicant being unable to do at least 3 out of 6 tasks or activities of daily living (ADL), with or without mobility aids. The questions raised about the scheme include this criteria of requiring a member to be unable to perform at least 3 of these ADLs. Opposition Member of Parliament, Sylvia Lim, for example, asked if it was time to review this requirement, given that someone who cannot perform even one of these tasks may in fact be severely disabled, but will not, under both the Eldershield and Careshield plans, qualify for assistance. Ms Lim suggested the government look at the long-term care scheme in Germany, where claimants with different disabilities or impairment received tiered benefits. Another issue which has surfaced are the higher premiums which will be charged from 2020. Some have questioned if higher premiums are necessary, given that the current Eldershield has reaped a total premium sum of $3.3 billion, from 2002 (when Eldershield was introduced) to 2017. The payouts, in turn, were a measly $133 million, with another $100 million or so given back in rebates. That’s a mere 4% in payout, and some 96% in profit for the three insurance companies which currently manage and run Eldershield. On average, each collected $1.1 billion in premiums in those 15 or so years. From 2020, however, Careshield will be run by the government. So, being managed by the government, should it also be – in the eyes of some – making so much profits? The government has attempted to explain the rationale for the seeming disparity between the amount of premiums collected and the payouts. Basically, insurance companies need to have enough in the bank for future draw-downs, when the number of aged or claimants increase, the government said. While that may be a valid explanation (all insurance companies would have done their actuarial calculations on this), it remains that this part of the scheme is shrouded in vagueness, as pointed out by Workers’ Party non-constituency MP (NCMP) Leon Perera. Mr Perera highlighted the government’s claims that 1 in 2 Singaporeans aged 65 could become severely disabled in their lifetime. The NCMP asked if this was a basis for the government’s determination of the premium for Careshield. In Singapore, data from the Ministry of Social and Family Development (MSF) shows that of those 50-years old and above, 13.3% of the resident population are “disabled”. Do note that the figure refers to those “disabled” and not “severely disabled”, and that it also includes PRs (“resident population”), and not just Singaporeans. In his reply to Mr Perera about the 1-in-2 being severely disabled in their lifetimes, Health Minister Gan Kim Yong said that not all would become severely disabled at the same time. “It actually happens across a period of time, through our life span and generally, after 65,” the minister said. Mr Perera, however, asked that the government published the details of the actuarial model used in the calculations for the scheme. “What assumptions were made about how many residents (ie citizens and PRs) will become disabled?” the NCMP asked. “What was the basis for these assumptions? Data on chronic disease incidence coupled with data on demographic projections? Finally, there is the question of higher premiums for women, a requirement under the new Careshield Life. To be sure, women also pay higher premiums under Eldershield. The difference this time, some argue, is that Careshield will be run and managed by the government, and not by private insurance companies, as is the case with Eldershield. Under Careshield Life, men would pay $206 annually while women would pay $253. The news, which was first highlighted in the press, that women would be paying more has ignited a controversy, with letters to the press and op-eds in the papers calling for the terms to be set at an equal level for both genders. A petition calling for the same has garnered more than 1,500 signatures in less than 2 days. The issue is also being hotly debated online. Trying to explain the disparity, Senior MInister of State for Health, Amy Khor, said that “applying gender-differentiated premiums would “more accurately reflect the differences in risks between men and women”, and it would make the scheme “actuarially fair”. She also said that women, on the whole, live longer lives than men, and would thus be expected to require more benefits as they get older. In other words, they would draw more from the scheme simply because they live longer. But isn’t this discriminating against women for living longer? Such discrimination (and it is actually discrimination based on gender) is quite stark, especially given the social goal of the scheme – universal insurance. Indeed, the Health Minister himself said Careshield Life was “more than an insurance scheme”. And if it has such a lofty and worthy goal, why the discrimination on gender? As some have pointed out, making women pay more ignores certain facts: that there are less women in the workforce (and thus with less CPF savings from which Careshield Life premiums will be deducted), women also are paid less than men in the workplace (as much as 43% less), and that women give of themselves in the greater social effort of childbearing and nurturing children. Indeed, getting women to have more children has been the goal of the government for decades. Yet, when these women are old and aged and require more care – the care that they selflessly give of themselves to their families and community – they are required to pay more for exactly such care. That is indeed ironic, an irony which can be easily erased if we stuck to the basic premise of the scheme – to ensure that everyone is treated fairly when it comes to healthcare, and that all have access to such care. It is why the scheme is called “Careshield”, isn’t it? The basic argument for the ban is that men and women use healthcare differently, at different periods of their life, and that one gender does not necessarily use more or less healthcare than the other. They, in fact, use more healthcare at different periods of their lives. “Men cost the healthcare system more when they are older, since they are more likely to have heart attacks, lung cancer, and liver cancer. Also, men are more likely to smoke, drink, and get in accidents. It is unjust to penalize women when in fact both men and women cost the health system relatively equal amounts, just at different points in their life. So, a well-intentioned scheme is apparently riddled with inconsistencies, vagueness and discriminatory clauses. What is needed to regain public trust is for the government to be entirely open and transparent, and provide the details and information being called for, regarding the scheme. For at the end of the day, Careshield Life is a national scheme, made compulsory/mandatory, without competitors and hence no options for potential members to either opt-out or choose another option; it also sets higher premiums which are increased the first five years and will be reviewed after that (with possibility of further increases). Also, the potential amount of premiums collected could be mindboggling, given the experience of Eldershield, while the payouts miniscule. Discrimination (sexism) in a government-run national scheme meant to fulfill a social goal betrays the very reason for the scheme itself.